Each game may have different screen resolutions, to cater for different physical screen sizes. The most obvious example is the mobile device — there’s just too many screen sizes to worry about. We’ll explore this in today’s tutorial. As noted in the FlxG API, this only works on cpp and flash (and neko) targets. Android and iOS targets naturally don’t need this because they’re already full screen. The HaxeFlixel’s ScaleModes demo indicates that this is possible. 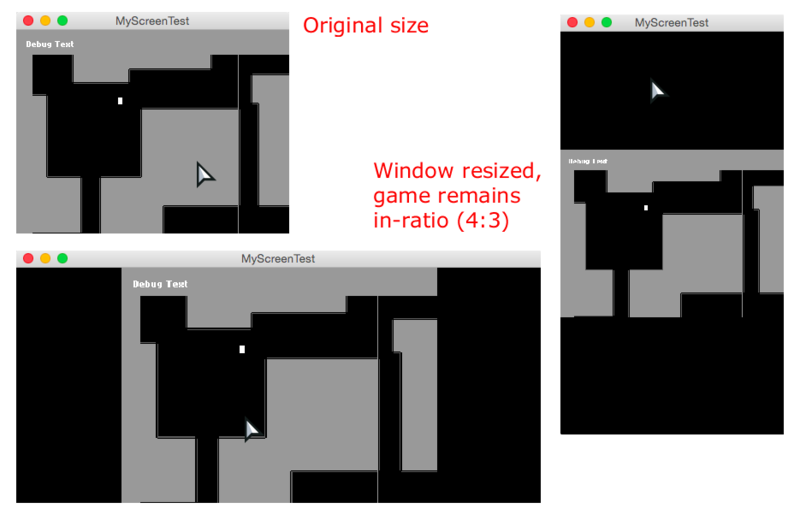 To illustrate the a potential problem with screen scale modes, first let’s take a look at an example of a game screen without problem: The above image assumes that when you make a game at 4:3 ratio, it would fit snugly when you upscale it. However, if we were to enter full-screen, how would it look like — especially on Android devices, where their screen sizes and resolutions differ greatly? 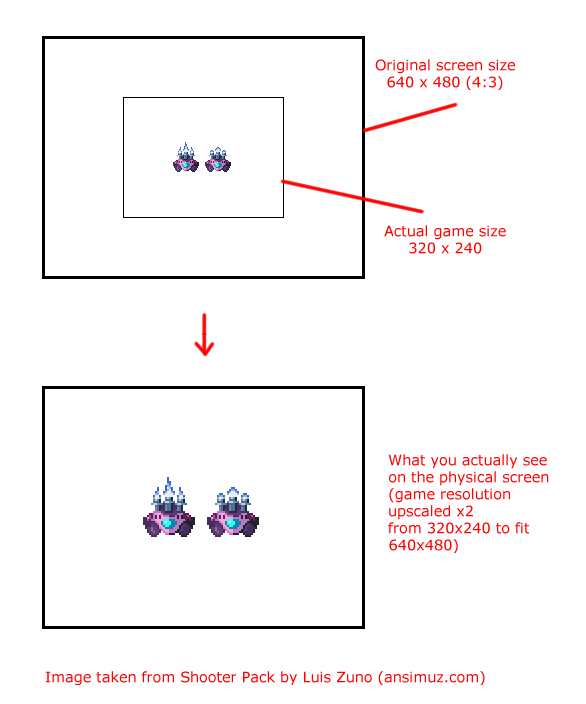 In most cases, we want the game’s resolution to be independent from the physical screen size, or at least have it scale gracefully with correct ratio. This scale mode is sufficient for most cases, but HaxeFlixel has a few other scale modes we can apply, through flixel.system.scaleModes (Refer to API). I’ve written a sample HaxeFlixel project below for you to explore and experiment with the scaleModes. // Note the RelativeScaleMode's values are arbitrary. // to zero so it will never scroll with the camera. // in haxe, so there's no need for "break;"
There is a BaseScaleMode , which can be extended into subclasses, as seen in the API page. The default behaviour of BaseScaleMode seems to be the same as FillScaleMode . Using StageSizeScaleMode will cause all the other scale modes to break. We could dive into the code to fix it, but to avoid any issues, it’s best to avoid StageSizeScaleMode. FixedScaleMode and PixelPerfectScaleMode are similar. 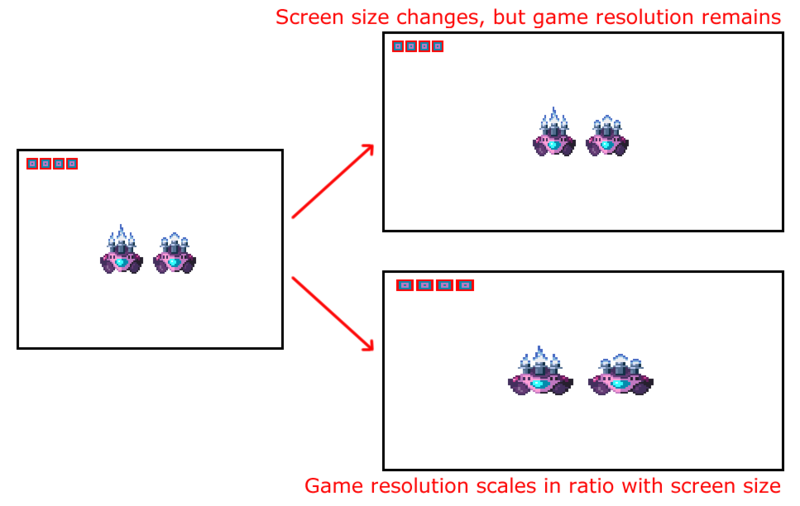 The difference is, FixedScaleMode maintains a fixed 1:1 pixel ratio, whereas PixelPerfectScaleMode will upscale to 2:1 or even 3:1 if the screen size is big enough. This concludes the tutorial on screen sizes.